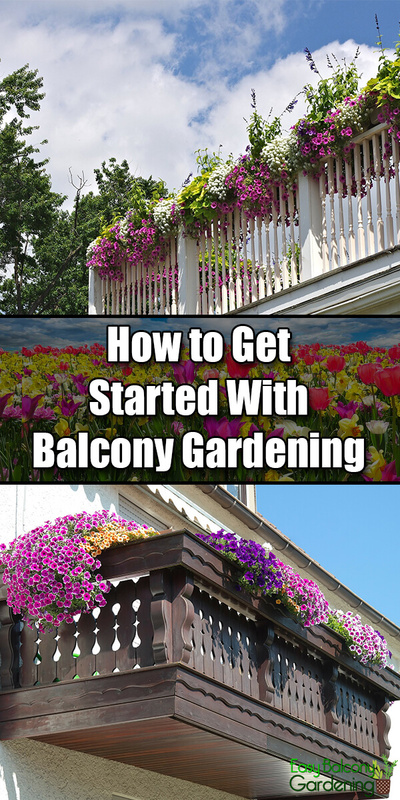 With balcony gardening, you will have to think vertical. This means growing plants upward and downward, whilst minding weight restrictions, weather exposure, irrigation, and drainage. Basic garden rules as planting depth, plant compatibility, pest control, etc., all apply. Vertical planting allows for creative talent development! Deck or balcony gardening means carefully paying attention to weight limitations and/or safety restrictions. Since total weight means pot, plant, soil, and water, think cedar wood or the now-available lightweight plastic containers. 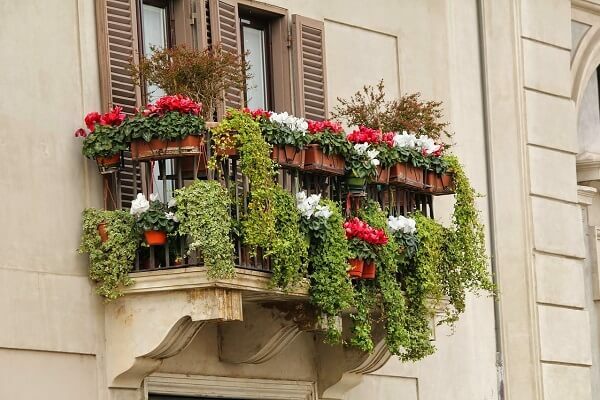 Now THAT’S what I call a balcony garden! Be aware of your location. The position of your deck or balcony gardening to the points on the compass is of major importance. Your plants require adequate amount of sunlight. Most plants need at least five hours of rays. Sun and wind exposure can be a problem with deck or balcony gardening. Be extra cautious of unprotected open areas. 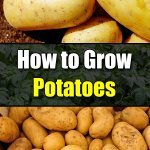 Additionally, consult with experienced neighbors or local nurseries as to what to plant if you live in high altitude regions. Fill a spacious plastic bag with bubble wrap, sawdust, or leaves, etc. for insulation. Without protection, the container temperature will be colder than ground and will cause serious damage or death to the plants. Shun small containers including those made of plastic and fired clay (terra cotta). They are susceptible to cracking. For watering, a hose adaptor to your kitchen faucet, if feasible, may be a solution. 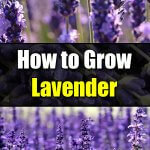 Do not plant them deeper than four times the thickness of the seed. 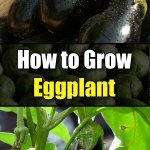 Harmful eggs, pests, etc. 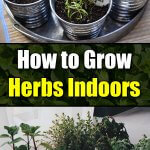 are also present when deck or balcony gardening. 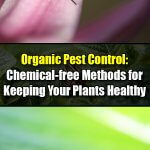 Aim for careful pest control if you want healthy plants. It is easier to remove damaging eggs, pests, etc. by hand. It is also the safest and the simplest way. If you must use commercial sprays, ask your local nursery for suggestions. Be extremely cautious if you are thinking of irrigating your plants with water containing borax. Whether deck or balcony gardening or other types of plant cultivation, borax can destroy plant roots and render your ground useless for maybe years! Deck or balcony gardening come alive with bright colors, shapes, and sizes! However, make sure your plant combinations are compatible. E.g., tomatoes and basil go well together as they have the same need for light, water, and feeding. Growing plants in very limited spaces – the auspices of balcony gardening. We invite you to send in comments and experiences. Balcony gardening is easy and enjoyable!